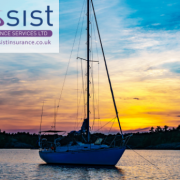 If you’re looking forward to plenty of time on the water in your yacht this summer, now’s the time to give it a thorough check over. Paying attention to general boat maintenance and mechanical servicing now could save you time and expense later on, when you could be enjoying yourself out on the water. Here are some of the keys things you should be doing. 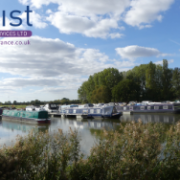 Even if you gave your boat a good clean when you put her away for the winter, she’ll probably need a thorough clean to remove any dust, dirt and mildew that has accumulated over the winter months. Use specialist marine cleaning products to clean and protect the interior as well as the decks. Polish all stainless-steel fittings and apply a protector, check for wear and tear, tighten any that have worked loose. This needs to be done on a regular basis and especially at the beginning of the season. 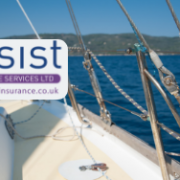 Wear and tear due to movement of the rig, can easily occur when your boat is moored up during the winter. Examine the standard rigging and running rigging for any signs of damage. Clean and replace the components as required. Check the anti-fouling coating on the hull. This protects it from the growth of marine algae and scum build-up. You can source various types of anti-fouling paints from a chandlery and it’s advisable to remove as much of the previous layer as possible, before applying a new coat. This gives a smoother finish and better protection. Having your engine serviced now is good practice and much more convenient than in the middle of the season. It could also avoid any difficulties or breakdowns when you’re out on the water. An engine service will usually include a full clean, oil and oil filter change, gearbox greasing and oil check, replacement of air filters, checking v-belt, impeller and anode. Winches require routine care and maintenance, as frequent usage can cause significant wear and tear. Service them now to ensure that they run smoothly and efficiently. Sail drives can be susceptible to corrosion as they are often immersed in salt water. 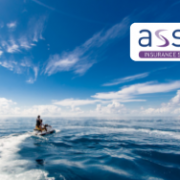 Service them now with a thorough clean, oil change and gearbox check to ensure they don’t fail when you’re on the water. Check that all seacocks work and operate them frequently to avoid them seizing up. Make sure that none are leaking, clean them with fresh water, check and grease the seals. If you drained down the tanks at the end of last season, then close the taps, switch on the pump and refill the tank. Flush through with clean water and turn on each tap individually to run water through it. Start with the taps closest to the pump to push out any air locks. Modern life-jackets require proper maintenance, so refer to the manufacturer’s instructions. Make sure that they are adjusted for each crew member and that everyone knows where they are stowed. 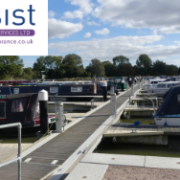 Ensure flares and fire extinguishers are in date, the life raft is serviced and fully functioning, making sure lifelines and guard rails are secure and in good condition. 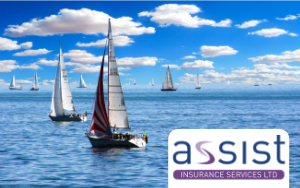 Make sure that your boat insurance policy is up to date and covers you for what you need. 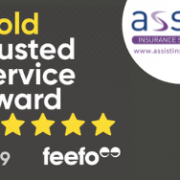 If you have any questions, you can call our advisers on 01604 946 779. Follow us on Facebook, Twitter and LinkedIn or have a look through our website for more information.